Hiya guys, how's it going today? It's so beautiful outside, I can actually go out in just a t-shirt! Okay, maybe that's a bit of a stretch but I think you know what I mean haha. Anyway, if you were a 90s kid like me, then you are about to have your mind blown away. It's a blast from the past! Today I have swatches for the much anticipated Buffy the Vampire Slayer inspired Collection by CDB Lacquer. This is a unique six-piece set inspired by the main cast of the beloved show. Let's get to the swatches! 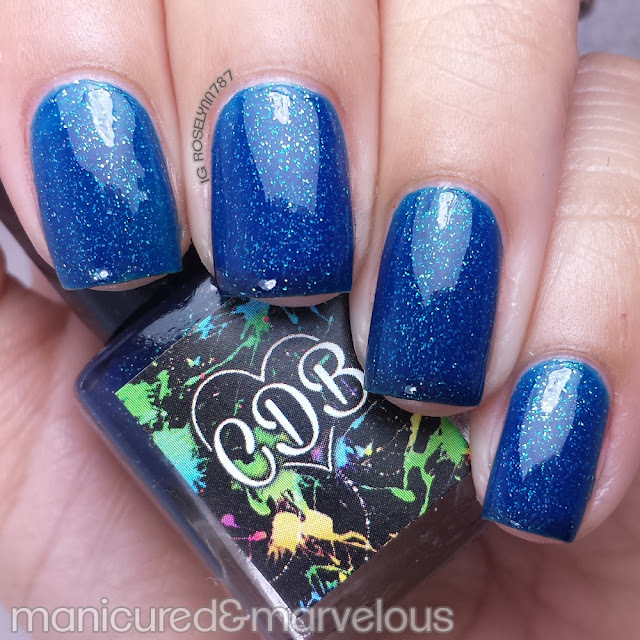 Apocalypse Averted Collection by CDB Lacquer will be releasing Friday, March 13th at noon EST. The collection will be available for individual purchase in both full and mini sized bottles. 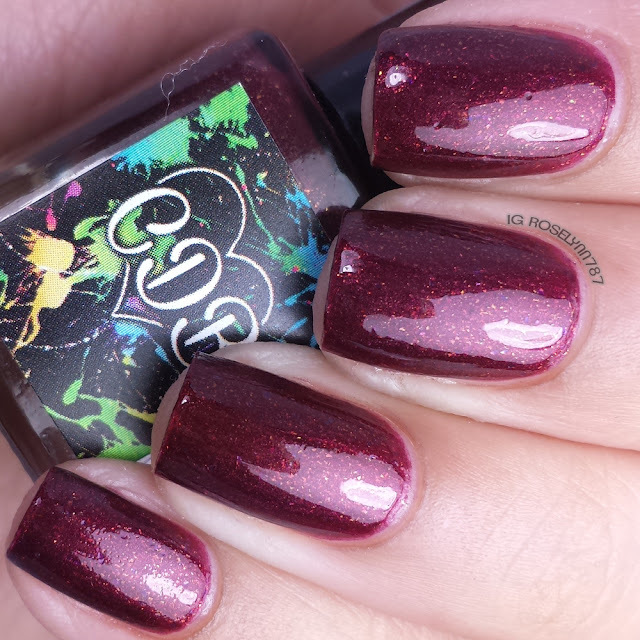 A Monsters Nightmare is a deep blood red with tiny gold flakies throughout. Classic beauty! 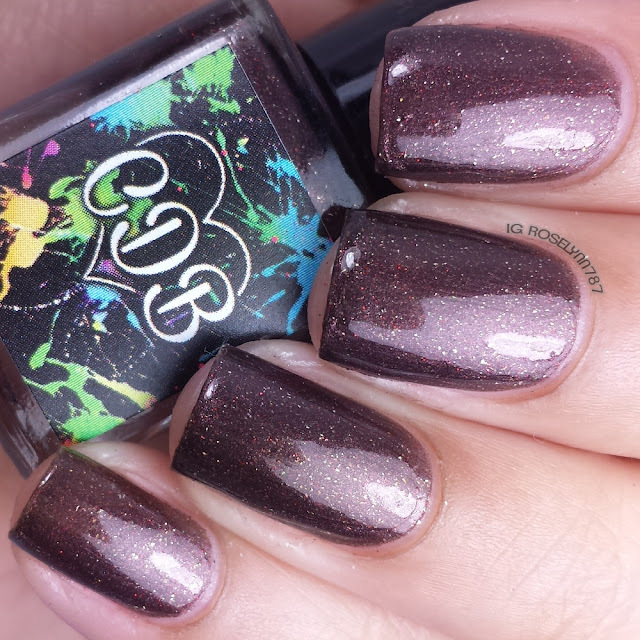 If you guys saw my nail art post yesterday, then this particular polish may seem familiar. As soon as I received it, I knew I had to use it for my Red Coat Tuesday segment. The formula was a little bit on the thick side, but the consistency is not unworkable. The rich color is very opaque and only needs two coats for a full finish. I sealed in the two thin coats with a glossy topcoat. Inspired by Buffy herself, "I'm the thing that monsters have nightmares about." Powerful Magics is a deep plum purple with tiny gold flakies as well as a hint of red/gold flakies. 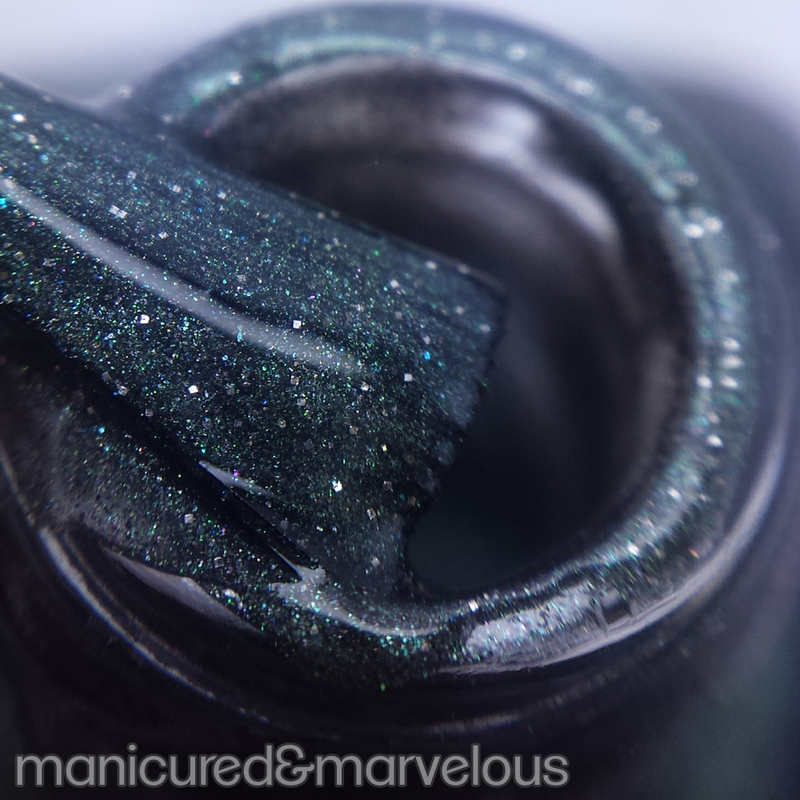 I think the macro of this polish can speak for itself. Gorgeous! The gold flakes are perfect against the richness of the purple. Formula and consistency were great, not too thick or too thin. I was able to apply each layer with ease and had an opaque finish in two coats. The polish dries a bit on the matte side, but for these swatches I used a glossy topcoat to seal it off. Inspired by Buffy's best friend and witch, Willow. "The magics I use are very powerful. I'm very powerful." He Sees All is a deep forest green with ultrafine silver glitter. Normally, you guys know that I don't tend to like green against my skin complexion. This lush color is the exception to that rule! I'm definitely going to be coming back to this one quite a few times throughout the year. Like A Monsters Nightmare, I found the formula of this one to be a bit on the thicker side. Although it's thick, it does not clump up or leave an odd texture. 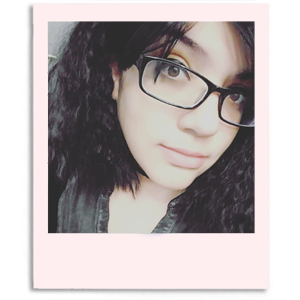 It's very manageable, especially if you use careful thin layers like I did. For these swatches, I used two thin coats and finished it off with a glossy topcoat. It should also be noted that for both A Monsters Nightmare and He Sees All the maker has addressed the thickness issue and the batches for release will have a thinner formula. Inspired by Buffy's other best friend, Xander. "Seven years, working with the Slayer. Seeing my friends get more and more powerful, all of them. And I'm the guy who fixes the windows. They'll never know how tough it is, Dawnie. To be the one who isn't chosen, to live so near to the spotlight and never step in it. But I know. I see more than anybody realizes because nobody's watching me." 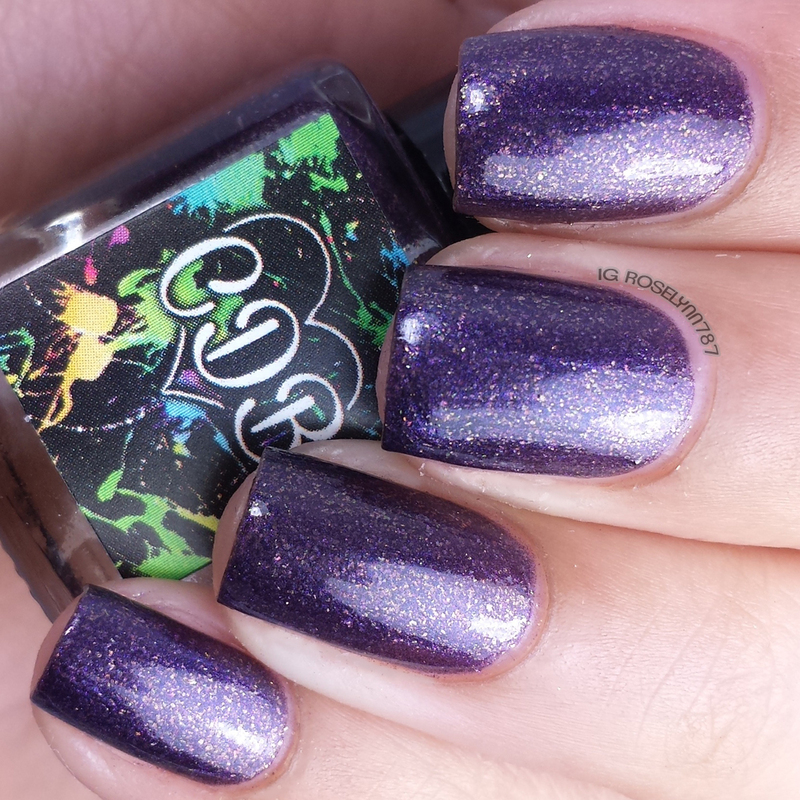 Apocalypse Averted is a glitter-bomb that contains red, purple, green, blue, silver and gold micro glitters. I firmly believe that glitter-bombs are the staple of CDB Lacquer at this point. The namesake of the collection, this polish is absolutely stunning and has a good glitter combination for a fun look. Great formula and consistency, I did not have to dab on any of the layers. I was able to achieve full coverage in three thin layers. You'll definitely will need a thick glossy topcoat to smooth down all the glitters and avoid a textured finish. Inspired by the several events that almost caused an apocalypse and were averted thanks to Buffy and her friends aka the Scooby Gang. Bloody Hell is a dark chocolate brown with micro red and gold glitters throughout. The micro glitters in this particular polish give it such a nice touch. Not too distracting, so that it still appears to be office appropriate. I'll admit that I'll probably end up opting for this shade more during the end of summer than right now. The formula is identical to Powerful Magics and applies very smoothly without any unevenness. 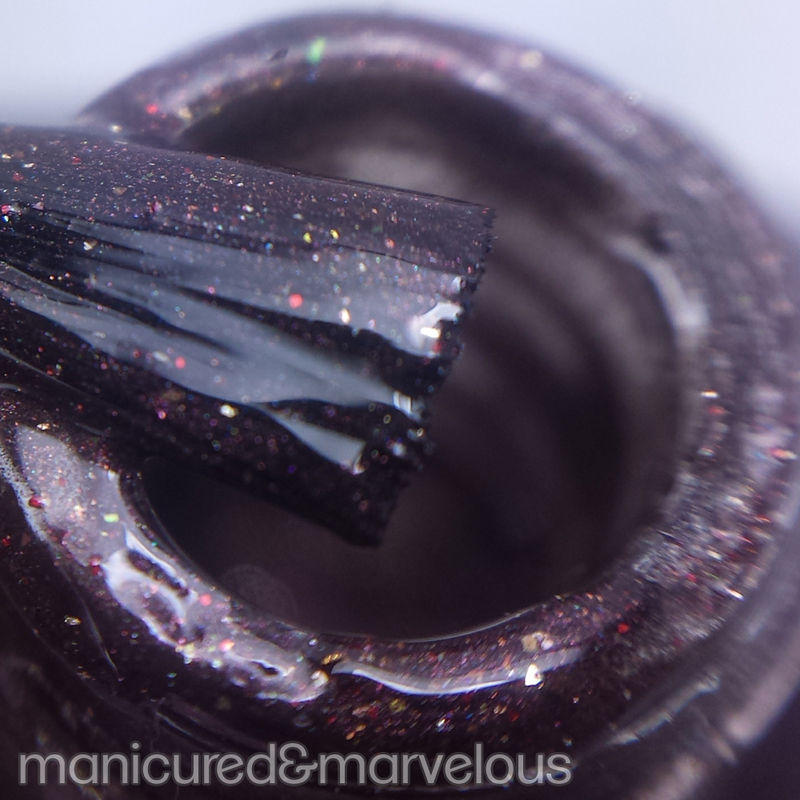 For these swatches, I applied two thin coats and sealed it off with a glossy topcoat. Inspired by "William the Bloody" aka Spike, A vampire who fights for his soul. Spike sacrificed his life in the final battle against the First Evil, permanently closing the Hellmouth. Angelic Demon is a jelly thermal polish with tiny silver flakies throughout. 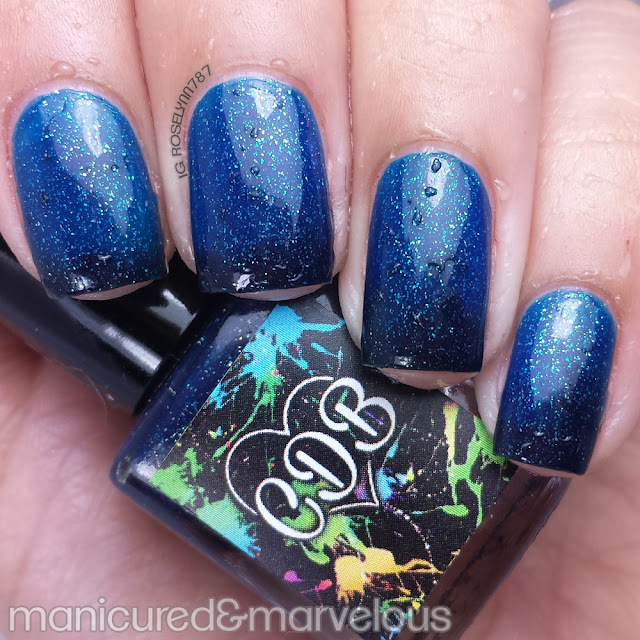 There was so much thought-process behind this particular polish, let me explain. Based on the character of Angel, this was made to represent the 2 sides of him: the good and evil. The thermal shifts from dark blue when cool to a brighter blue when warm. I don't think it will come as much of a surprise to say that this beauty is my favorite from the whole collection. Flawless formula and color transitioning, each layer applies like a dream. For these swatches, I used two thin coats and sealed it off with a topcoat. Inspired by Buffy's true love, Angel aka Angelus. Angelus was cursed as vengeance for killing a member of a gypsy clan. They returned his soul, forcing him to live eternally in guilt over the countless crimes he had committed as a soulless vampire. Overall I think the entire collection is a must-have and I believe that's a first time I have felt this way about a set from CDB Lacquer. Maybe it's the nostalgia, but I cannot tear myself away from any of these. Of course, there is always one that stands above the rest and that for me is the thermal Angelic Demon. The 90s child in me still harboring major crushes on both Angel and Spike, so uh Netflix binge anyone? But regardless of whether you were a fan of the show or not, these polishes are extremely beautiful and a great variation from all the pastels this season. 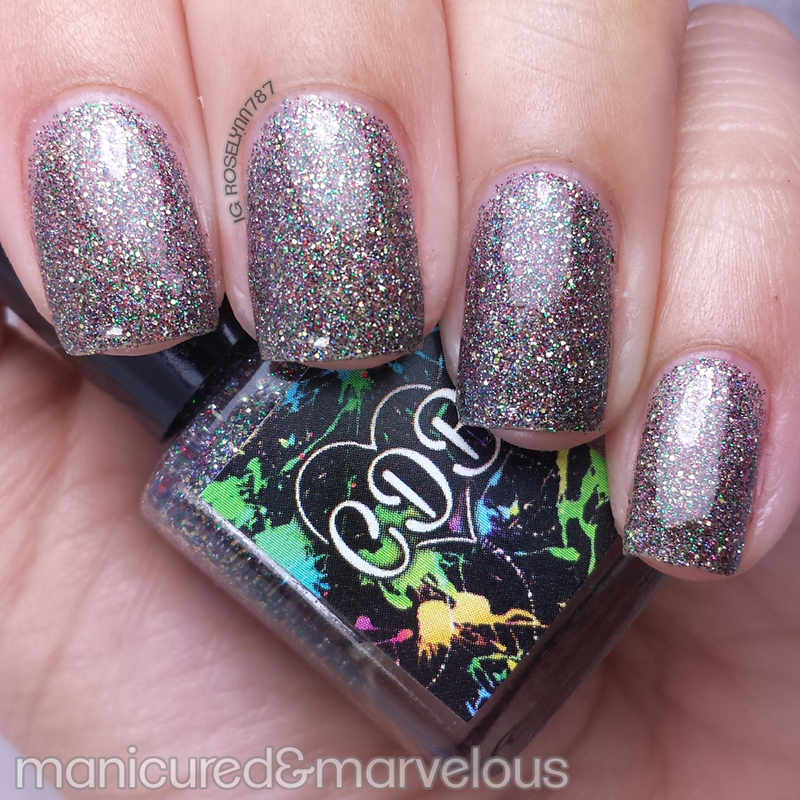 Apocalypse Averted Collection by CDB Lacquer will be releasing Friday, March 13th at noon EST. Apocalypse Averted looks interesting, lovely macros! Your totally rocked these! I'm so glad you enjoyed them!! Those are gorgeous colors! I absolutely love all the variety, and the polish looks so thick and tough. That is an amazing collection. These colors are the perfect combination of poppy and classy. You can wear these colors anywhere. I love it! Those colors are GORGEOUS!! I love the sparkles/glitter and the depth of color!! Oh it looks so sparkly! I haven't done my nails in a long time, I love all these colors! I so admire your beautiful nails! I love those color selection, they're all beautiful! Those are very nice looking nails with some cool colors! Wow, this is an incredible collection! All of these are stunning! He Sees All is my favorite of the bunch! It's such a unique color. Beautiful swatches! Ok, I love all of these and need to buy this collection! I love that they are inspired by Buffy too! So awesome! Wow I love all of these. Especially that angelic demon. How gorgeous! This is a great collection! I absolutely love these colors. The micro glitter is flawless, too! I really like the sparkly blue color! That looks so great on your nails. The sparkles seem to spread more evenly than other nail polishes. That is a really nice selection of nail lacquers. I think that Apocalypse Averted might be my favorite. Gorgeous pics! I'm really liking Angelic Demon - thermals that have a darker opaque color in the warm form really do it for me! And I *gasp* have never watched Buffy... I really need to Netflix binge it soon! These are amazing colors of polish. I love to paint my nails a few times a week. He Sees All is my favorite color out of these. I love all of these shades!!! I literally can't choose a favorite!! I need to pick up some! I am not an indie girl but these are totally up my street, I might have to check this brand out. STUNNING STUNNING swatches!! Ohhh! 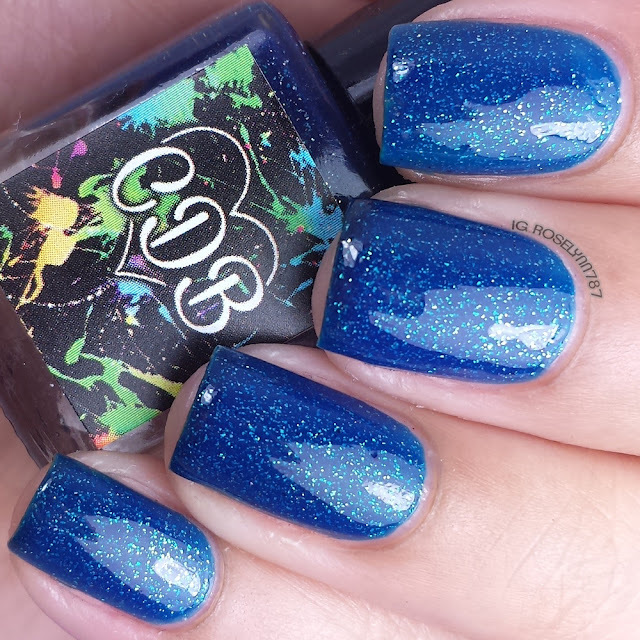 I’d love that Angelic Demon… That deep blue color is perfect for my nails! I absolutely love all these colours...especially the electric blue! My hands and nails need some more tlc! OMG! That's really cool! I love all the colours you have. Thanks for reminding me, I need my nail done this week. My eyes were immediately drawn to A Monster's Nightmare in tour first photo and I still like it the best out of the bunch. It's good to know the thickness issue is being addressed. I think I was the only person in middle school that wasn't obsessed with Buffy or David borowitz lol. Lovely swatches! OH. EM. GEE. Love all of these! But that thermal.. oooooh that's just TOO pretty! The weather here has been great too!! I was actually able to work yesterday with the door open which was so refreshing!! One show I never got into when I was younger was Buffy but these polishes are gorgeous!! I really like He Sees All and Angelic Demon! So I basically want every color you just posted. I can't choose between them! I love all of them! Powerful Magics is my favorite of this bunch!! 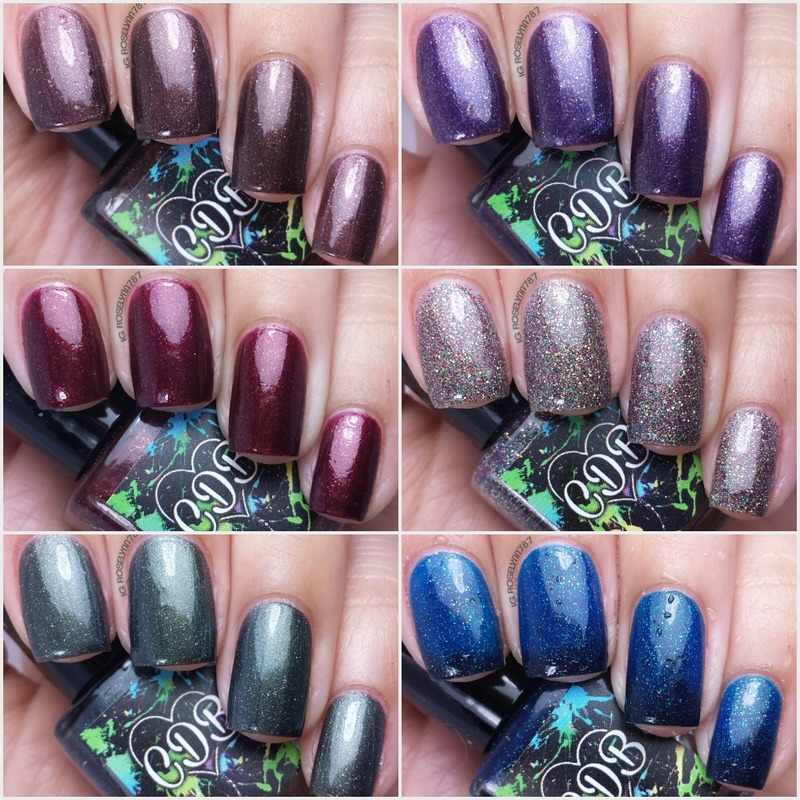 These are all gorgeous and your swatches are really awesome! These are definitely my favorites of all the CBDs you have shown us! A Monster's Nightmare is great. All the colors are really nice. I really love the powerful magical. I need to get a couple of these. These definitely take me back! Apocalypse Averted is stunning. All of these are beautiful and your swatches are fabulous! I love the shade He Sees All. These look like a great formula. I love glitters in my nail oh! I love the red one looks fabulous I love it. I didn't watch this show but all my friends loved it. The polishes are all gorgeous!! I'm going to need some of them. That glitter bomb is fantastic! I'm actually not a Buffy fan but all of these are just gorgeous! I really like the thought process behind them, you can tell it's a labor of love. Wow! What cool colors! I don't usually wear anything with glitter, but maybe I should give it a try. A couple of these look like they might work for me. The 90's child in me jumping up and down in joy! Angel's polish is my fave! 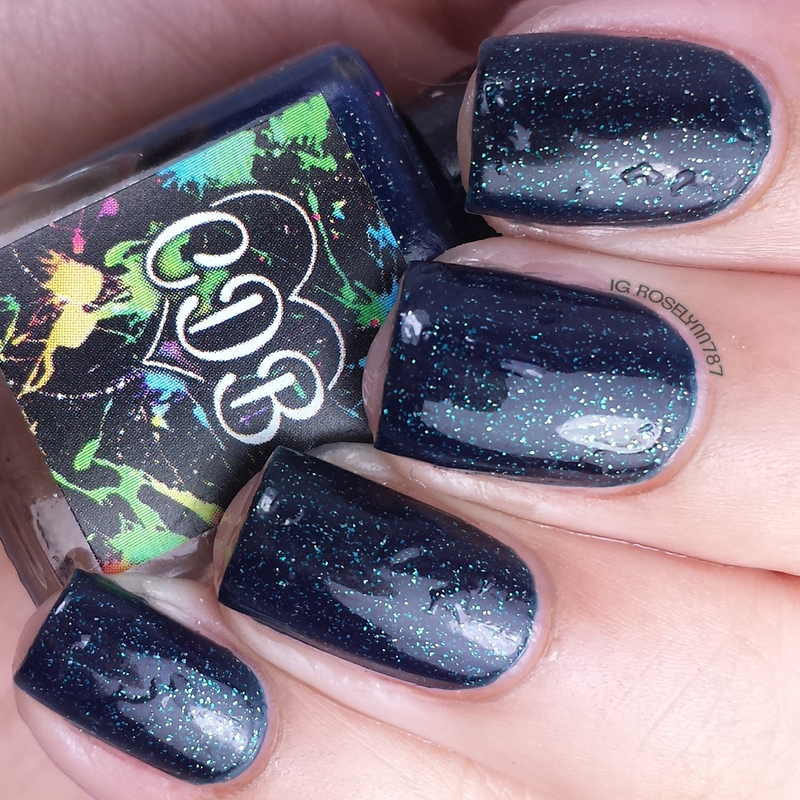 'A Monster's Nightmare' looks like something that I would wear – I like this shade. I like the way 'He Sees All' looks, but on other people. I don't think I could pull this color off. Wow! These polishes are so beautiful! Wow that is some beautiful colors! I need to get my nails done it has been some time since they have been done. I love these colors. That deep red is my favorite! I never watched Buffy, but I am a fan of these polishes! Those are some fantastic colors. I will have to buy some for me and my girls.